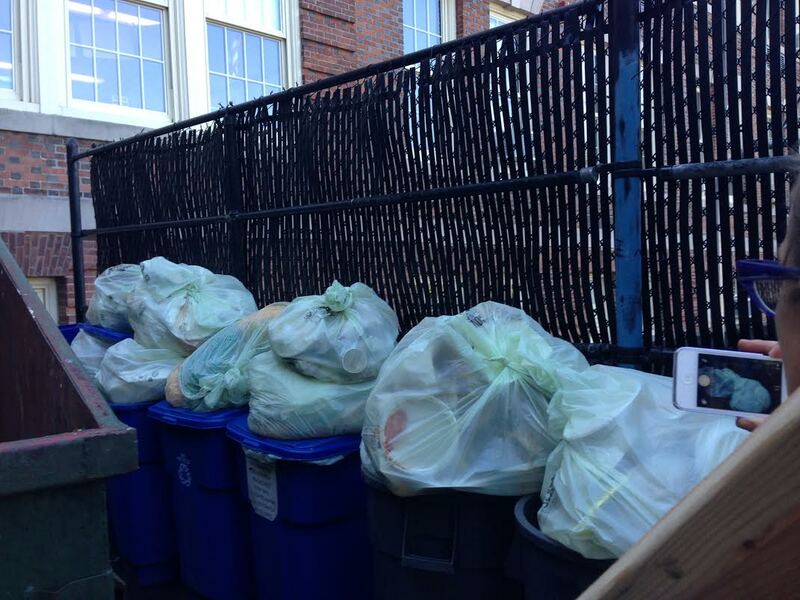 New Rochelle’s Elementary Schools Recycle 2,000 lbs of Textiles In 3 Months. 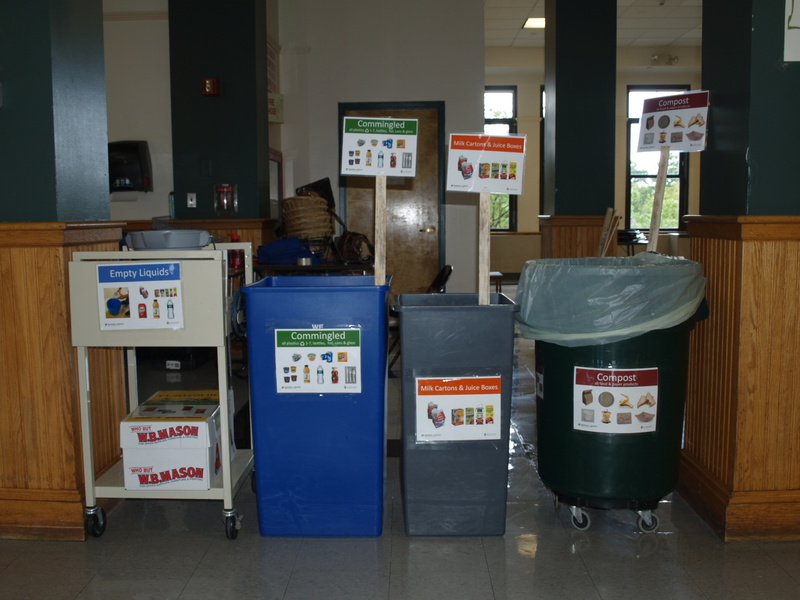 New Rochelle’s Webster and Columbus Elementary Schools are extending their sustainability efforts beyond their successful lunchrooms. 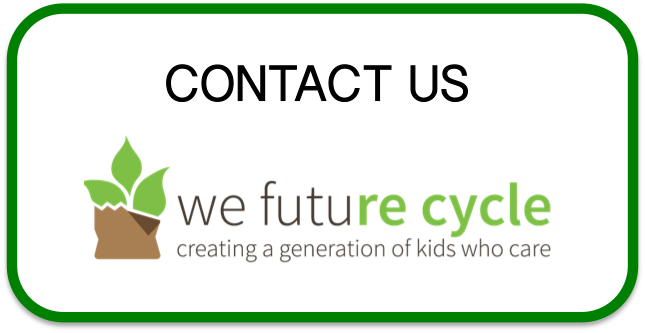 We Future Cycle introduced Textile Recycling through Spin Green as a fabulous fundraiser and both school principals eagerly embraced the initiative. According to the EPA, Americans discard 13.1 million tons of textiles per year and there is only a 15% recycling rate. Many people give nice things as hand-me-downs away, but what to do with the stained T-shirt, the holed toddler jeans or –gasp– the underwear with the rip……? Easy…recycle them in our Spin Green Textile Recycling Bin. We parents know how fast children grow and what clothes look like after a few months on an active child, but instead of discarding them into the trash, consider supporting the schools by donating them into their recycling bins. Any dirty sock, ripped sheet, old stuffed animal can go, anything that is clothy. Even shoes, sleeping bags, old blankets. Once donated the textiles go one of these routes. 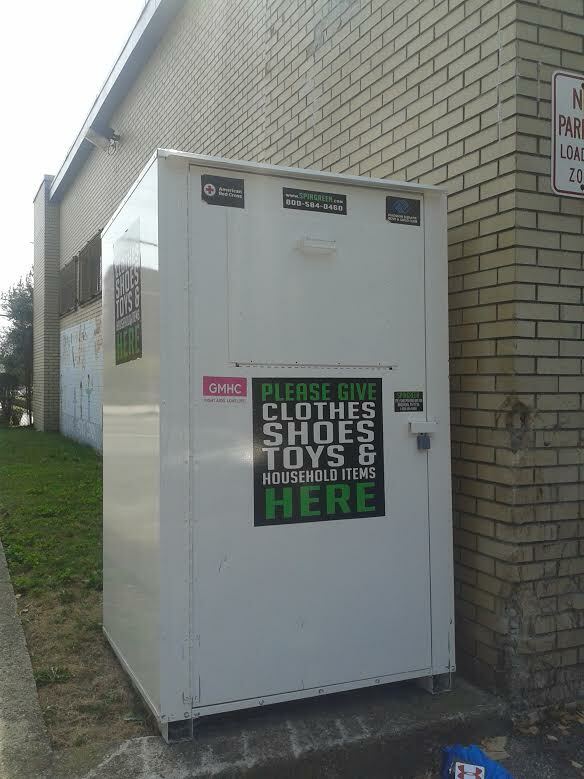 The re-use avenue where usable clothes are sorted out and sold through second hand clothing stores or thrift shops. 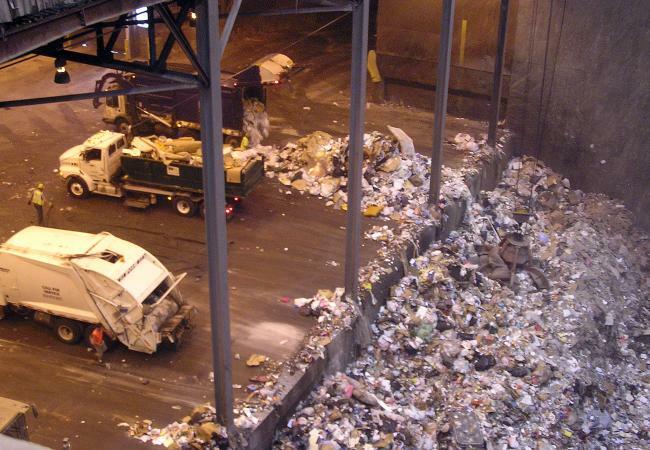 The recycle avenue where the clothes are sorted according to material and then shredded down for its fiber to be used as rags or as stuffing for car seats and other applications. Discarded textiles come with a huge price tag to society. 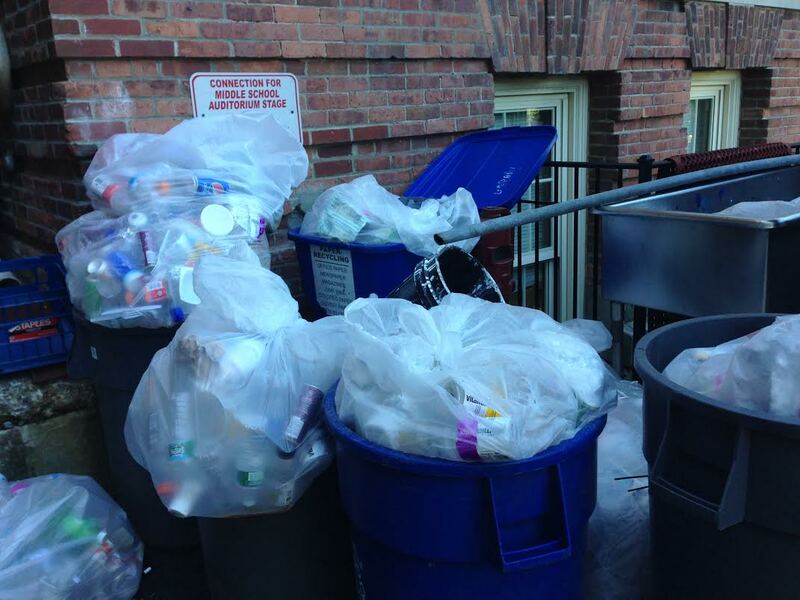 They account for 4.9% of the municipal waste. 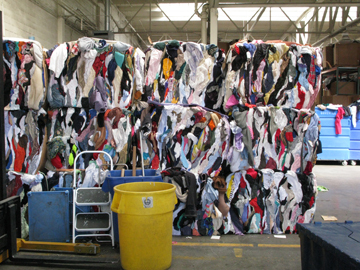 For Westchester, with its 2,000 tons/day garbage about 100 tons are discarded textiles EVERY DAY. At around $80 per ton tipping fee (which is just the cost to dump the load onto the incinerator floor, no transportation or labor cost are included yet, and of course no secondary cost such as road repair or environmental consideration), tax payers are footing an $8000.00 bill every day to make a resource -literally- disappear into thin air. To learn more about the footprint of textiles here is a very interesting article. The textile industry, according to the U.S. Energy Information Administration, is the 5th largest contributor to CO2 emissions in the United States, after primary metals, nonmetallic mineral products, petroleum and chemicals. Thanks to Melissa Passarelli and Sonia Nunez, students of Columbus and Webster are learning about the importance of recycling textiles.